As I’ve mentioned before, when it comes to trendier clothing/accessories I tend to go for cheap finds, and save my money for pieces that are more classic and I know I can wear for years. Forever 21 is great for cheap accessories. 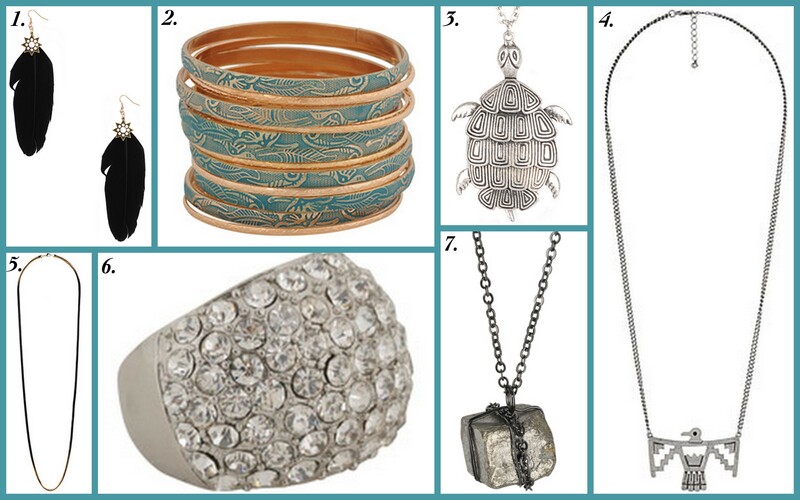 They don’t always last very long, but you can find jewelry there for under $5. Check out some I like below. …I miss having to get my cute scarves, sweaters, and wool coats out of storage! It never failed – there was always something that I forgot I had in those boxes, and it felt like getting new clothes for the season! But alas, I don’t live in Boston anymore, I live in Los Angeles. And I LOVE the weather here. Please don’t misunderstand me – I would not, for a second, rather be back in the snow and biting cold. But I do miss having reasons to buy cute winter styles! This winter, I’ll definitely miss wearing big, knit scarves that I can just wrap myself up in. It’ll get cold enough here where I can bust out some of my lighter-weight scarves, but the thick, cozy ones will stay in the storage bins. Here are some cute ones I came across that I would for sure be shopping for if I was still back east! 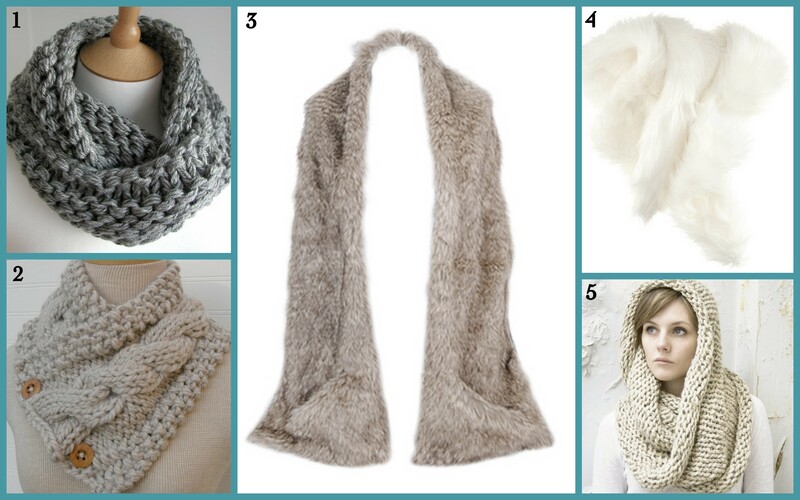 I think my favorite is #3 – the faux fur just looks so comfy!